It is currently a difficult time to be alive, I won’t lie. With war, poverty, crime and an unbearable political scene bombarding us on a daily basis, the world scrambles for some sign, any sign, to save us from reality. This is why I love pop culture: no matter how bad reality gets, there’s always a happier, brighter world inside entertainment. And that’s what I want to focus on today: what’s making us happy. Two of my favorite sources of news and entertainment are the magazine Entertainment Weekly and the podcast Pop Culture Happy Hour. In a recent EW article, they ranked 50 things in movies, television and music that could be used to keep you happy in these troubling times. Meanwhile, Pop Culture Happy Hour has a recurring segment that ends each show titled “What’s Making Us Happy,” where the hosts each pick something in pop culture that makes them happy that week. These segments inspired me to do my own list for Wednesday Listicles, but with a twist: I’m going to pick one item from each world of pop culture, creating a catalogue of arts and entertainment that will leave you no choice but to feel a smile creep across your face. The only rule is that it has to be overtly joyful, so as much as I love cynical or things that delve into the human psyche, they have no place on this list. This is a Happiness Based Safe Space. Let’s get started, shall we? There were a lot of options for this slot. I could have gone with Star Wars or Raiders of the Lost Ark. On an animated front, Toy Story and The Lion King each have an argument to be made. EW went with The Sound of Music, which makes me angry, as that would have been my pick. And I have a friend who once insisted to me that Singin’ in the Rain is the correct answer to this question. However, I have to stick to my roots, and I must pick The Wizard of Oz. Have you ever not been happy during The Wizard of Oz? It has everything! Nostalgia, happy music, bright colors, lovable characters, and adventure. 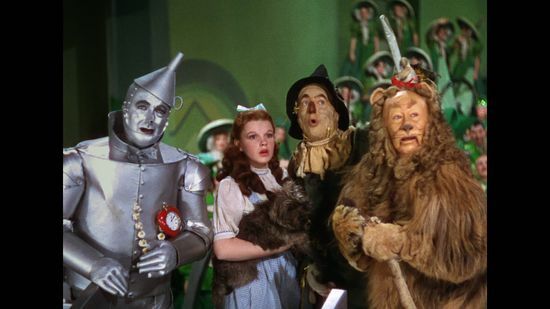 The Wizard of Oz exists in a perfect bubble: one where we can have a strong female protagonist, where horror and violence are minimal, where the world is filled with joy and even the scariest creatures may just be sad old men behind a curtain (did The Wizard of Oz predict the Internet commenters? I’m thinking it may have). Sure, the message is a little iffy, considering the moral of the story is everything is happy if you Never Leave Your Hometown, but it’s got heart, it’s got joy, and dammit, if you don’t just feel good about yourself after Judy Garland sings Over the Rainbow, you don’t deserve to be happy. Again, there are many shows I could have picked here. I could have gone old school with The Andy Griffith Show or Leave It To Beaver. Cheers and Frasier both could have a place on this list. And recently, Gilmore Girls and Modern Family are absolute joys to watch. However, is there any show that just filled people with joy the way Friends did? The word “Friends” is literally in the title. 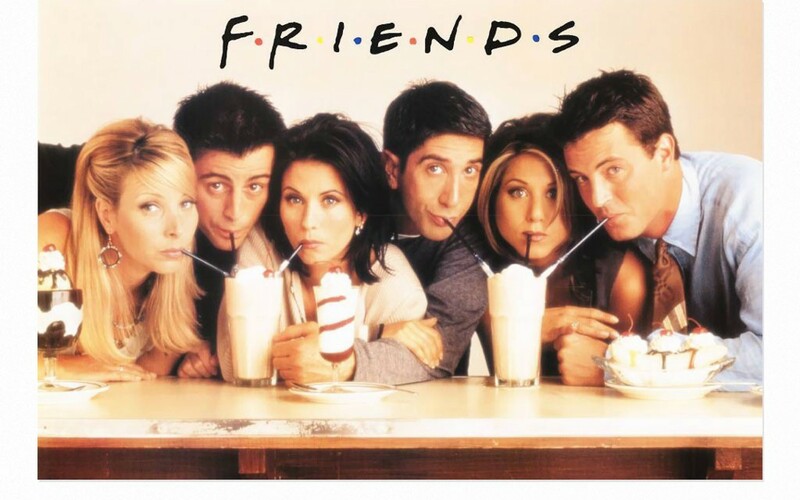 Sure, they were all narcissistic at their roots, and by the end I’m pretty sure it was nearly impossible to like Ross (I’m pretty sure David Schwimmer lost his mind by the time the show ended), what made the show so lovable was how much these people felt like real friends, and how much we wanted to be a part of their group. The jokes all worked, the emotions felt real, and there wasn’t a single person we ever disliked (even Ross, despite “Pivot!”). And when all is said and done, The One With the Prom Video is a near perfect episode of television, and one that leaves you loving life. I guess what it boils down to is this: Friends is love, Friends is life. Reading is perhaps the oldest source of joy in the world. Ever since Homer first wrote down the Iliad all those years ago. 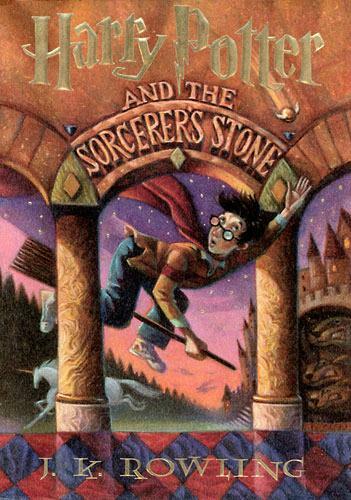 There are a lot of great books out there, but I feel there is only one book that can claim a spot on this list: Harry Potter and the Philosopher’s Stone. No more, no less. Why? Let me explain. The Harry Potter books are amongst the greatest children’s literature ever written. It’s incredibly detailed, absolutely fun, and, by the end of its run, deeply intelligent. However, as the books went on, and the characters aged, the world became darker, characters started dying, and motivations became mixed. So I’m going to focus my gaze on Philosopher’s Stone, a book where magic is new, kids are kids, and good vs. evil was as simple as black vs. white. It’s joyful, it’s fun, and above all, it’s happy. Nothing fills you with joy quite like returning to Hogwarts that first time all those years ago. It might seem on the nose to pick Pharrell’s Happy for this spot. That’s precisely why I’m not going to pick it. There are lots of other choices that I’m not going to pick, either, like Madonna’s Like a Virgin, Carly Rae Jepsen’s Call Me Maybe, or Hey Ya! by Outkast. However, I’m going to pick two albums, to be played back-to-back: Thriller and Bad by Michael Jackson. Jackson was truly the King of Pop, and he understood a great song the way nobody else did. His first album, Thriller, is the highest selling album of all time, and is filled with absolute gems, from the upbeat “Wanna Be Startin’ Somethin’” to the youthful “Billie Jean,” from the energetic “Beat It” to the creepy but fun “Thriller,” and then closing with the absolutely lovely “PYT.” Not to be topped, he followed this album with Bad, which gave us five #1 hits, a record only recently tied by Katy Perry. 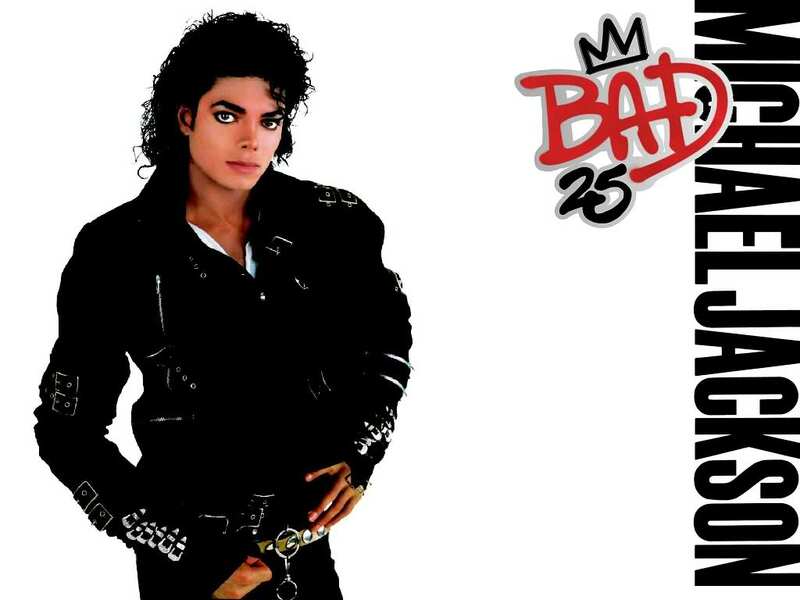 The album is astounding, giving us such hits as “Bad,” “The Way You Make Me Feel,” “Liberian Girl,” “I Just Can’t Stop Loving You,” “Dirty Diana,” and two of my favorite Michael songs in “Smooth Criminal” and “Man in the Mirror.” As tragic as it is his life was cut short, and regardless of where you stand on the many rumors and charges surrounding his life, I dare you to listen to these albums and not just feel joyous and have an absolute lust for life. Before there were movies, before there was television, there was the theater, a place where people could watch their favorite stories acted out for them by incredibly talented thespians. This is another field where there are hundreds to choose from. I could pick Hamilton or Hairspray, Oklahoma! or (again) The Sound of Music. Heck, if I’m being honest, I should probably pick Annie here, based on how positive it is. 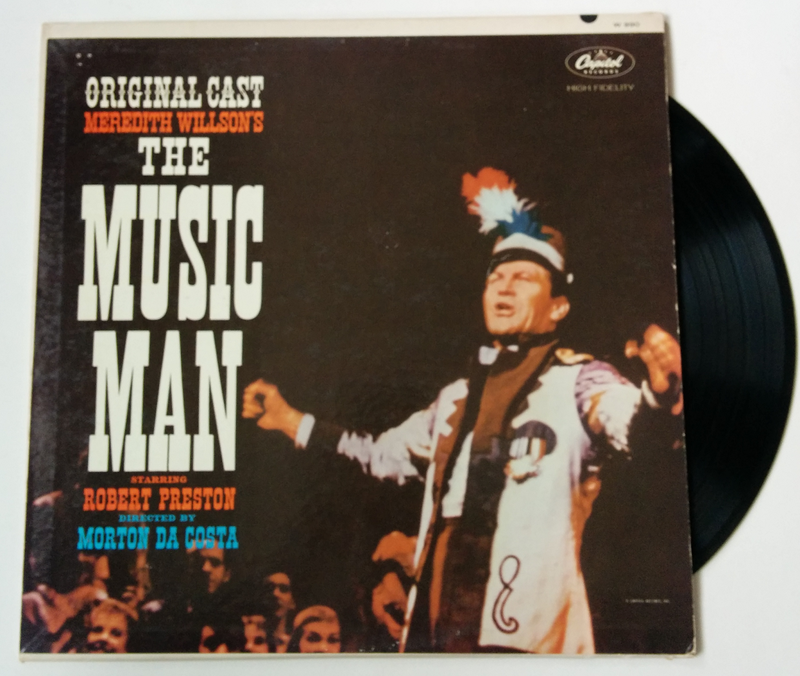 But I’m going to go with the most All-American good-time story I can think of, The Music Man. If you really want to get down to it, it shouldn’t be a happy story: it’s about a con man prying on Midwesterners’ natural gullibility to make a quick buck. But there’s so much more to it than that: it’s about a group of people who just want joy in there lives, and no matter how much they veer off course, by the end of the show, they are reminded of what truly matters. Robert Preston’s voice is perfection in this show, and it features such rousing, joyful numbers as “Seventy Six Trombones,” “Ya Got Trouble,” “Pick a Little, Talk a Little,” and “Goodnight, My Someone.” Meredith Wilson crafted a near-perfect musical here, and it is one I turn to time and time again for a little pick-me-up. Video games are the 21st century’s #1 source of joy. And I don’t blame them. They’re a blast. And there may even be health benefits involved (an article for another time). 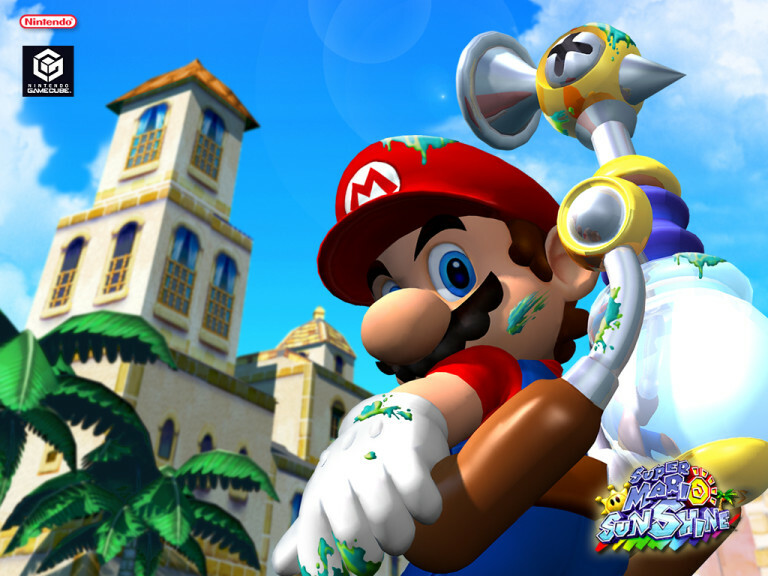 However, while there may be something inherently cathartic in your basic Grand Theft Auto or Call of Duty, they aren’t really what I think of when I say “Happiness and Peace.” So I’m going with an older classic, and one of my absolute favorites: Super Mario Sunshine. There’s just a natural joy that comes with playing a Mario game; a sense of nostalgia, if you will. But why Sunshine instead of all the other great Mario games? One reason: it’s got water. Yes, this sounds stupid, but it’s true. The imagery of the water, as Mario sprays down a sun soaked city, brings to mind images of summer, and the happier times of childhood. And nothing screams “distraction” quite like the summertime. So yes, I’m going with a GameCube game, despite the many better stations out there. But can you really bet against Mario? I know I can’t. Is there a better way to waste several hours than by watching stupid Internet videos? I can’t think of one. There are several great videos I considered choosing here: I’m very partial to Rebecca Black’s Friday, there’s an inherent joy in Wizard People, Dear Readers, and I’m pretty sure everyone enjoys A Very Potter Musical. Meanwhile, from goofy stuff, there’s Loca the Pug Who Couldn’t Run (one of my favorites), 100 Ways to Love a Cat, and the Oscar Dances Twitter series. However, there is one video to rule them all, one video to find them, one video to bring them all and in the darkness bind them. And no, as much as that sentence implies it, it is not They’re Taking the Hobbits to Isengard. 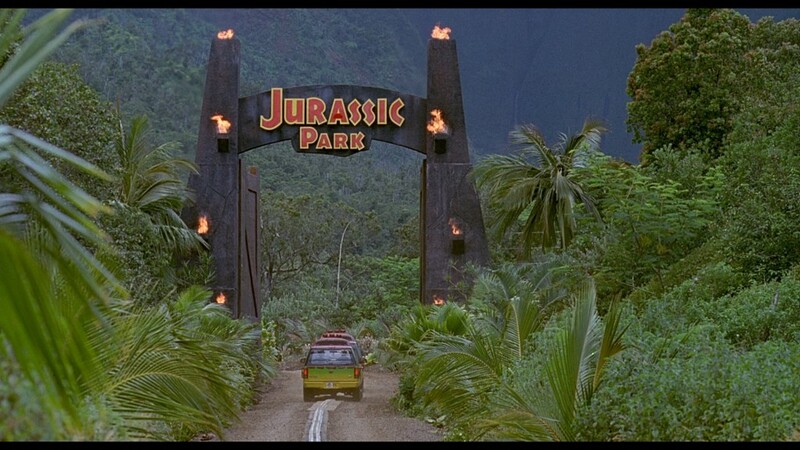 It’s Jurassic Park (Melodica Cover), and if you haven’t seen this yet, then you need to do so now. I can’t explain it, just…watch, and feel good about life. I know I don’t talk about sports much on this site, they’re just not really my wheelhouse when it comes to information. That being said, I do get joy watching them from time to time. I get really into football and basketball. Hockey can entertain me from time to time. I enjoy baseball if I’m at the game (and drinking). And soccer’s just kind of useless. Fun if you’re playing, but useless. However, the one sport that’s near and dear to my heart is swimming. I swam for eleven years of my life, and if you were ever a swimmer (a “swammer,” if you will, then you’ll know that the greatest, most uplifting sports moment was not the Miracle on Ice, The Play, or The Chicago Bulls Threepeat (although I did consider Michael Jordan’s Time With the Tune Squad for this list). No, the greatest sports moment of all time was Michael Phelps at the 2008 Beijing Olympics. Phelps’ performance is already the stuff of legends. 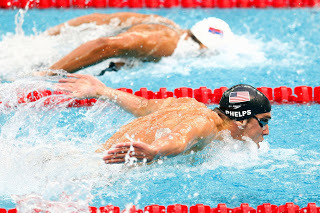 It would make more sense to focus on the winning 8th medal that helped Phelps break the Gold Record, but I think we all know the greatest moment came with his 7th medal, for the 100 meter butterfly. Going into the race, Phelps’ rival, loudmouth braggart Milorad Čavić of Serbia declared it would be much more entertaining if Phelps lost that final medal to “some guy” like him. This angered Phelps, and awoke a sleeping tiger. As the race started, Čavić took an early lead, and for ¾ of the race it looked like Phelps would be done. The last ten seconds are amongst the most memorable of any Olympics in recent history. You can watch at the side, and relish in it, because not only does it show hard work pays off, but nothing is more refreshing than watching some loudmouth get his comeuppance. 80s cinema was pretty much built on that notion. Confession Time: I don’t really listen to that many podcasts. I have a few queued up, sure. But I haven’t really followed any since Brad n’ Laremy on Movies ended almost exactly a year ago today *teardrop*. Since then I’ve listened to a variety of podcasts of all different makeups. Some are start ups by friends, like Michael and Friends (shout out to Michael Hatchett, hope you’re doing well, boi), while others are well known, like the aforementioned Pop Culture Happy Hour (an NPR production) and the Gilmore Guys. But of all these podcasts, I think the one that has the best chance of bringing a smile to your face is How Did This Get Made? Founded in 2011, the podcast consists of The League costars Paul Scheer (Andre) and Jason Mantzoukas (Rafi), as well as Scheer’s wife, acclaimed comedienne June Diane Raphael (Burning Love, Grace and Frankie), as they sit down with a different comedian each week (past guests include Nick Kroll, Paul F. Tompkins, Amy Schumer, Chris Hardwick and Adam Scott) in order to discuss, dissect and mock bad movies, after bad experiences with Burlesque and The Love Guru. Classic episodes include the aforementioned Love Guru, The Wicker Man, Cool as Ice (with star Vanilla Ice), Spider Man 3, Sleepaway Camp, Howard the Duck, Jack Frost, Stayin’ Alive, Safe Haven, LOL and, in one of their greatest moments, Deck the Halls, where they truly found out what went wrong on the production from one of the film’s extras. It’s a hysterical show, and it’s incredibly earnest, which makes it all the better. While it may not be the nicest to the people who worked on those films, it’s certainly one of the funnier shows out there, and I don’t think anyone would be capable of holding a straight face for too long as Jason giggles with glee as June tries to defend the concept of a Sharknado. I debated what to include for this final slot. There’s still so much left untouched in the world of pop culture. However, I decided that, if this is a list of things to make you happy, then by God, I need to include comedy in this list. So that left the question of what type of comedy do I pick? I ruled out stand up early on, because while Eddie Murphy, Jerry Seinfeld, and Andy Kaufman are all a hoot, they still have an air cynicism to them that takes away from the feel-good attitude I’m looking for. So that leaves sketch comedy, from which there are many options. I could go with Jim Carrey’s Vera DiMilo on In Living Color, The Dentist or Went With the Wind from The Carol Burnett Show, Who’s On First from Abbott and Costello, or Dead Parrot from Monty Python’s Flying Circus. However, it just feels wrong to pick anything that isn’t Saturday Night Live, the kings of variety comedy. There are, yet again, several sketches that could fill this slot, ranging from Chris Farley’s Matt Foley to Eddie Murphy’s Buckwheat to The Olympia Café, but if we’re being honest with ourselves, does anything really make you smile the way Will Ferrell does as he gleefully bangs on that cowbell like an unhinged madman? Yes, there was little choice but for me to pick More Cowbell, an innocent enough sketch taken to a strange and loving place by Will Ferrell and his just-too-small shirt. This sketch is magic, and is, to this day, the only known cure for a fever. That’s it for this week, hopefully this list will help lift you up whenever you feel down. I wish you all a long and happy life.